Rafns' will carry fresh turkeys for Thanksgiving. We expect to have both free-range and air-chilled birds available in many sizes. Please let us know if you're interested in purchasing a turkey and we'll get your name on the list. 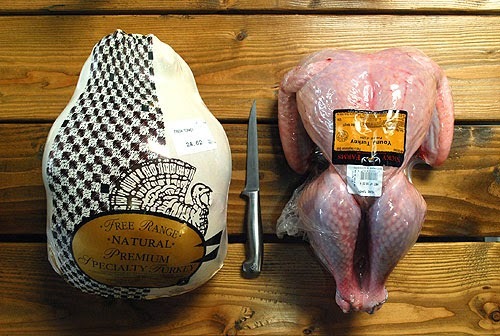 These turkeys sell fast, so the earlier you contact us the better! We are now stocking top-quality free-range eggs from Nancy & Carl Hendricks in Stayton. They raise their laying hens on pasture and feed them lots of fresh produce from the farm, plus non-GMO grain. Stop by to pick some up. They are $7.95/dozen.